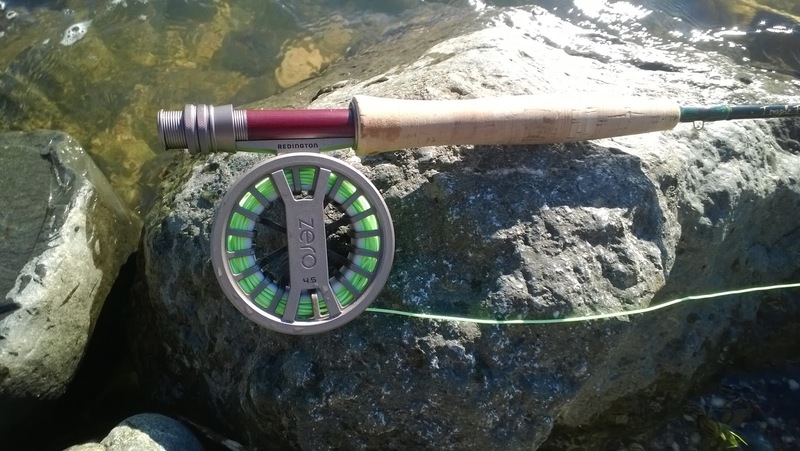 The Redington Zero is a fairly new fly reel that was introduced in 2015. 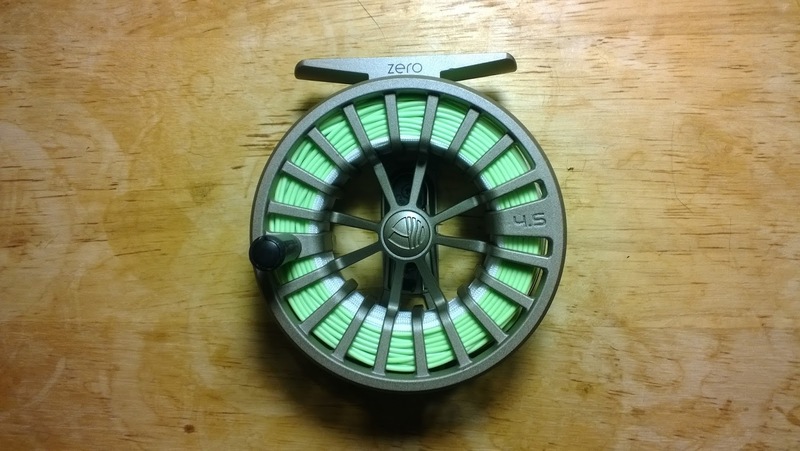 I recently purchased the Zero 4/5 for my TFO Finesse 5WT to match light rod to light reel. Here are my thoughts about the Redington Zero. The Redington Zero uses a click-and-pawl drag system and boasts that it is the one of the lightest reels in its class weighing in at only 3oz for the 4/5WT. The Redington Zero comes in two colors: red/black and sand. At first I wanted the red/black but after thinking about it, I chose the sand color because it matched my rod better. Regardless of which color you choose, the reel still looks pretty damn cool. The reel design is simple and bare minimum. 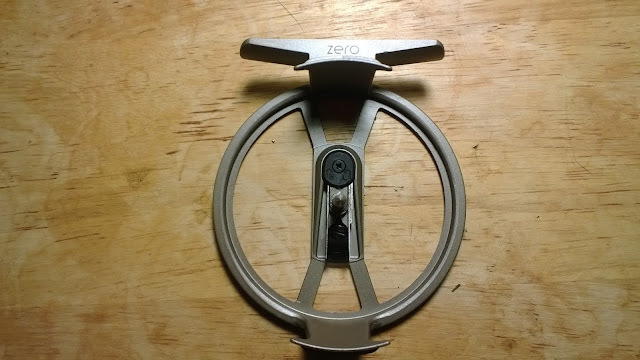 The Zero uses a push button design to unlock the spool. It is a simple design but a pain to use because it usually takes two thumbs to unspool the reel. The diecast material doesn't feel cheap. The Zero feels so light, like a croissant. The handle has a nice rubber grip making it easy to grab and hold on to. The Zero is one of the best sounding click-and-pawl reels that I own. It isn't loud and doesn't sound like a rattling tin can. This reel definitely does the trick in adding excitement and tension to the good fight. There is only one drag setting for the Redington Zero and it cannot be adjusted. This reel was design to be a good looking line holder that won't backlash which it minimally accomplishes. The drag setting is a bit lighter than I would like for a 5WT. My fly line often gets tangled when I pull out line too quickly while casting. I will often lose time on the water re-tightening loose or tangled fly line. If you enjoy fighting fish "mano y pescado" by palming the reel then the Zero is for you. If you like an adjustable drag system I recommend looking for a different reel. The Redington Zero is a good buy at $89.99 and will perform at it's best when paired with a rod designed to fish smaller waters. The reel is very light and packs well. The lack of an adjustable drag was a bit surprising considering the price point; being able to adjust something besides the hand retrieve would have been nice. Coming from an angler who enjoys fishing click-and-pawl reels, I think this reel is okay. Despite it's flaws the Redington Zero is simple, affordable, and fun to fish with. I love everything about the reel, except the fact that the clicker is too weak. I called Redington and they said the clicker is not a drag, that it provides just enough resistance to prevent free spooling, that one must palm the reel in order to control a fish. First day I fished with the reel the weather was cold and wet. The reel free-spooled like crazy, even when just gently pulling line off the reel. :( It was like the clicker just went AWOL. Later, at home, with the reel warm and dry the clicker returned. Weak, but at least it's there. I guess we need to fish with this reel on warm days in dry river beds. Man, I wanted to love this reel. The spring for the clicker is just too weak. What a bummer. Maybe I can fashion a stronger spring. Yes I agree. The Zero has way too light of a spring, more so when you're pulling line out. I haven't had a problem with fish running on me but when I pull line out to cast the reel free-spools very easily leaving me with a bunch of loose line. Not baitcaster bird's nest bad but enough where you have to pull some line out and retighten it. It's a bit of a pain but still a decent reel. Your photo of the guts of the reel is excellent. There is a long light spring and a short heavier spring that backs up the light spring. In retrieve, only the light spring bends, in reverse the light spring is backed up, effectively stiffened by the short heavy spring. I think the only problem is that the short heavy spring is too short. It would be such an easy fix for Redington. Thanks for your insight about the reel design. I'm not too familiar with how reel drag systems work but your explanation was great. Hopefully Redington takes to your advice and update the Zero. LOVE this reel, perfect for a new 3wt setup. If you go with the Zero, don't believe for a moment that it will take 100yds of 20lb backing. NOT EVEN CLOSE. Now, I tend to like more generous space on my reels so I NEVER go with the suggested amount; I always go less. I did so by quite a generous margin on this reel and it still wasn't enough. For reference, I am using Scientific Anglers Sharkwave GPX on this reel. I noticed on your pic that you didn't get a ton of backing on there either. Tightlines. I agree. This reel is perfect for anything below a 3wt. I've been put into my backing a few times but unless you're fishing for steelhead (which I don't recommend with this reel) there's no need for 100yds of backing on the Zero.